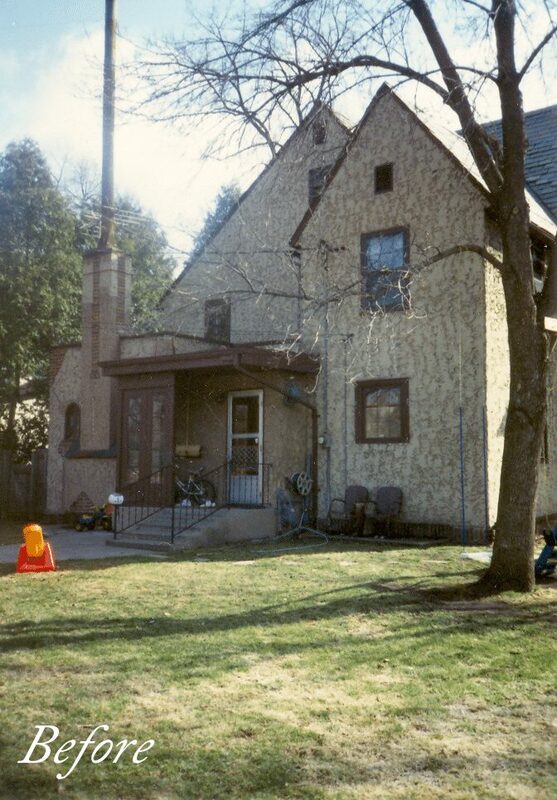 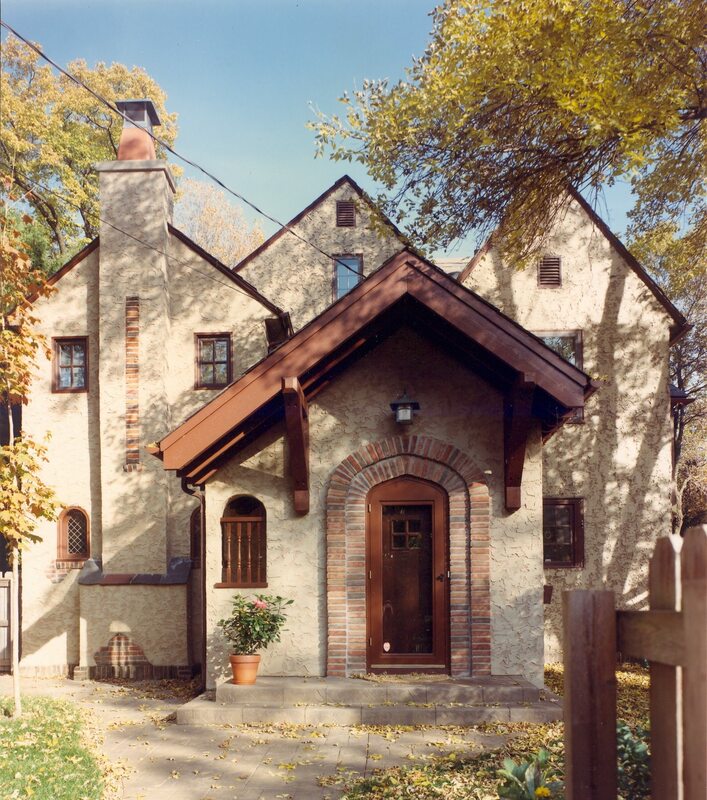 This rear entry addition and bedroom expansion on a St. Paul Tudor transformed the home while maintaining its original style, making it feel like it had always been there. 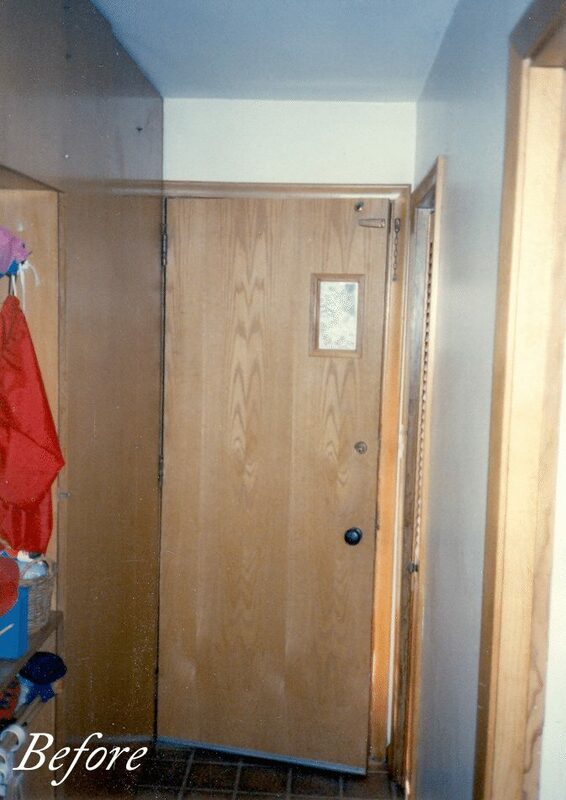 The priority was to provide a new entry from the alley that provided enough space for the coming and going of a busy family. 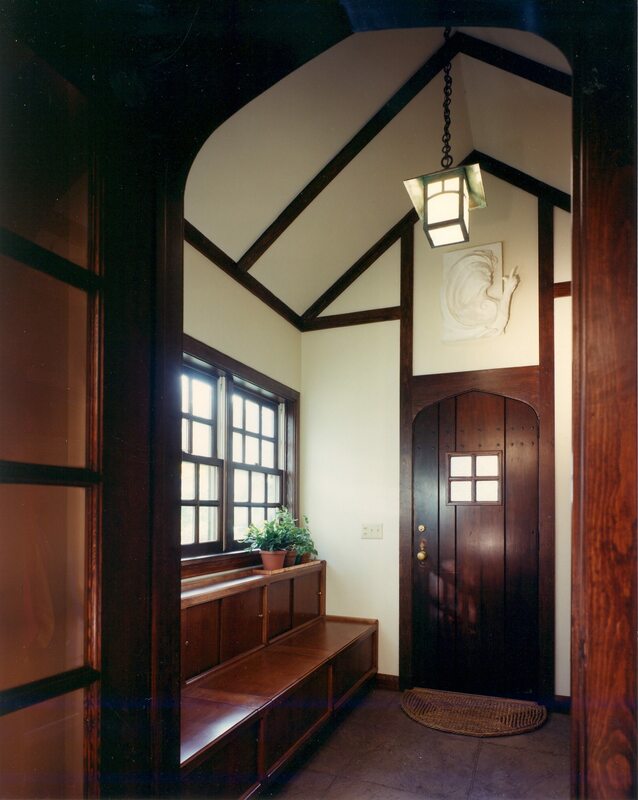 A bench seat with storage, a window-lined ledge, and congruence with the entirety of the Tudor style allowed the renovation to take effect seamlessly and further enhance the family’s entrance experience.